Theater Talk: PIPPIN at Shea's brings "Broadway Royalty"
PIPPIN, the story of the knight in search of meaning and truth, comes to Shea's on Tuesday, January 26 and runs through Sunday, January 31. After the Buffalo tour, the great Priscilla Lopez (from the original A CHORUS LINE) will leave the show. 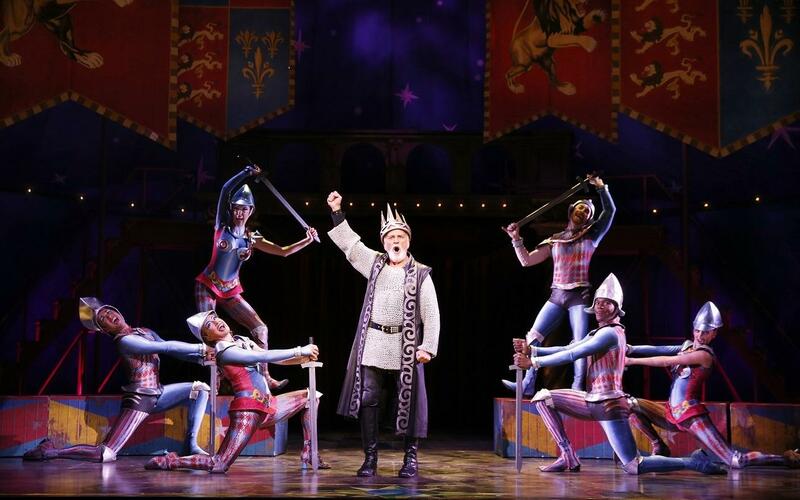 Also on stage, John Rubinstein, the original Pippin, now takes on the role of King Charles (Charlemagne). So it's a chance to see "Broadway Royalty" but only for six days. The PIPPIN tour comes to Shea's with John Rubinstein, the original Pippin, as Charles. SPEAK NO EVIL, the premiere of a play by Sonya Sobieski, directed by Neal Radice at the Alleyway Theatre (right next door to Shea's) presents a dystopian future where people can only say nice things. It's up Thursdays, Fridays, and Saturdays at 7:30 through February 13. FREUD'S LAST SESSION starring David Oliver and Matt Witten is at Road Less Traveled through February 14. ORDINARY DAYS, a musical presented by O'Connell & Company is at The Park School through February 21. RING OF FIRE is at Musicalfare through February 28. There's a SHORT PLAY FESTIVAL at Niagara University Theatre this weekend only (call 286-8685). And VANYA AND SONIA AND MASHA AND SPIKE by Christopher Durang is at Lancaster Opera House through February 6. And, one night only, Monday, January 25 at 7:30 at the Alleyway Theatre, it's BUA SINGS!, a musical revue, hosted by Jimmy Janowski and Kerry Kate Abel.